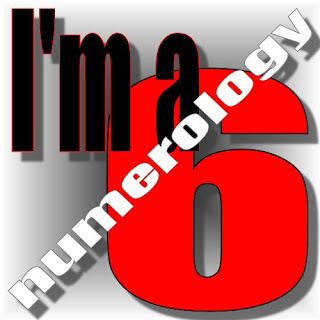 When you were a kid, did you and your friends ever check out numerology and find out your "number"? Just as with zodiac signs and horoscopes, we would occasionally gather around a table at lunch time to discuss the findings of such things that might foretell where our lives would lead. All in the spirit of fun, of course. I had forgotten my numerology number, so looked it up before writing this post and discovered that I am a 6. Then I read it and thought, whoa, is that ever waaaay off. I thought it might be fun to take a similar "adult" break and look into some other ways of peeking into our personalities; namely, what do our colour and pattern preferences — so integral to what we do in sewing and crafting — say about us? The first one was created by Josephine Mayfield and is found on playbuzz.com. It's called "What Color Pattern Matches Your Life". The part that resonates most with me is the "you're a true realist at heart. You're incredibly logical and you have strong analytic abilities." The sentence that follows is sort of funny in that I'm not sure that combination usually means, "this makes being around you all the most pleasant!" Just for the record, I am so not the life of the party! Okay, onwards and upwards. This second one is from Cindy at modcloth.com. It's called "What's Your Pattern Personality?" In this one, you have to answer a series of eight multiple choice questions that will then churn out a result like this. The third one is from Cassandra Lewis on littlethings.com. The headline on this one states "The Pattern You’re Drawn To Reveals Your True Self & Your Fortune!" This one just shows you eight different patterns in varying colour combinations. You're supposed to think on it and then pick your favourite. Whichever one you select, it will provide you with a summary. In case you thought I was very obvious in selecting the black and white chevron, it was actually a close call between it and another. Finally, this last one is from higherperspectives.com. It's headlined as "This Scientific Color Test Will Reveal Your True Personality Traits". It's a series of ten "which colour do you like" type of questions that will then reveal something like this. I think this is a test that could have different results each time you take it, depending on your mood. In terms of the above, I've never been described as neurotic and never realized I liked green so much! Oh, and the part about being a "sage"? Wow. Talk about lofty. Did you enjoy this? Particularly at this stage of life (i.e., not looking out into that great expanse of "what am I going to do when I grow up"), it's kind of entertaining to examine these personality findings and be able to say with some certainty, yes, that's me or no, that's not me. And know that it's still all in fun. Okay I took the tests Rochelle. Color Pattern is Blue; Personality Pattern is stripes (although the one question about the type of music that gets me moving I was uncertain because one choice was "sick beat", was that a typo and should have read "stick beat"? Or am I a sick person? LOL!!! I assumed when talking about music they meant stick, so I chose that one. The last question on that one I chose was zebra and voila they told me stripes. The Personality I chose #9 the blue and green pattern. The Higher Perceptive color I was surprise BLUE! I have always loved blue, since I was a child, although I do love purple and pink and turquoise/aqua too.